Liam Sumner's first season in navy blue provided many highlights, with the forward's pressure and intensity a trademark of his game. 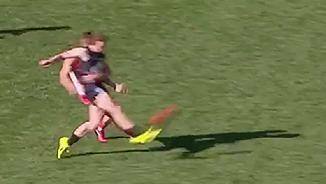 Carlton Media has chosen its best tackles of the year, but now it's up to you to vote for the winner. 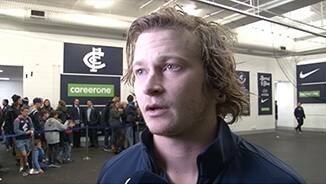 Carlton names its final team for Sunday's clash against Melbourne at the MCG. 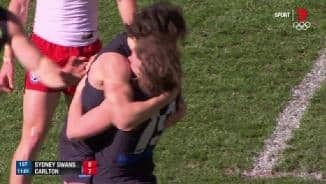 Former Giant who started in the VFL last season after having foot surgery at the end of 2015 and broke into the senior team in Round 4 against the Western Bulldogs. Speedy wingman-half-forward who has modelled his game on teammate Dale Thomas . In his second season at Ikon Park, he applies plenty of pressure inside the forward 50 with his tackling and harassing, but needs to win more of the ball and hit the scoreboard more often. 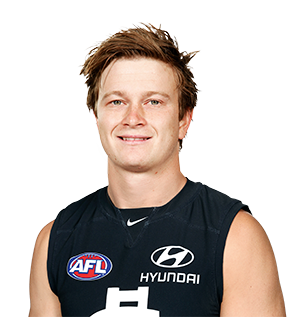 Draft history: 2011 NAB AFL Draft 1st round selection (GWS Giants) No.10 overall; 2015 NAB AFL Draft traded by GWS Giants for No.33 (Mitch Hibberd), No.63 (Rupert Wills), 6th round selection (not utilised) and and 2016 1st round selection No.17 (Jarrod Berry).